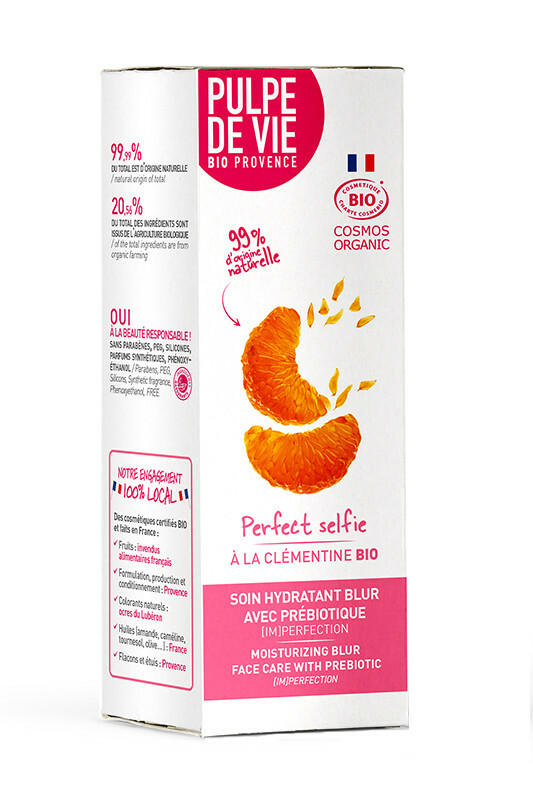 Pulpe de Vie Perfect Selfie is a Moisturizing Blur Face Care With Prebiotic Organic for skin prone to imperfections: blackheads, pimples ... This facial cream moisturizes and softens your skin thanks to the regenerating properties of cucumber. Hydration is essential for all skin types. Naturally formulated with lavender and organic clementine, this perfective treatment treats imperfections and regulates the production of sebum. Your skin is purified and cleansed. 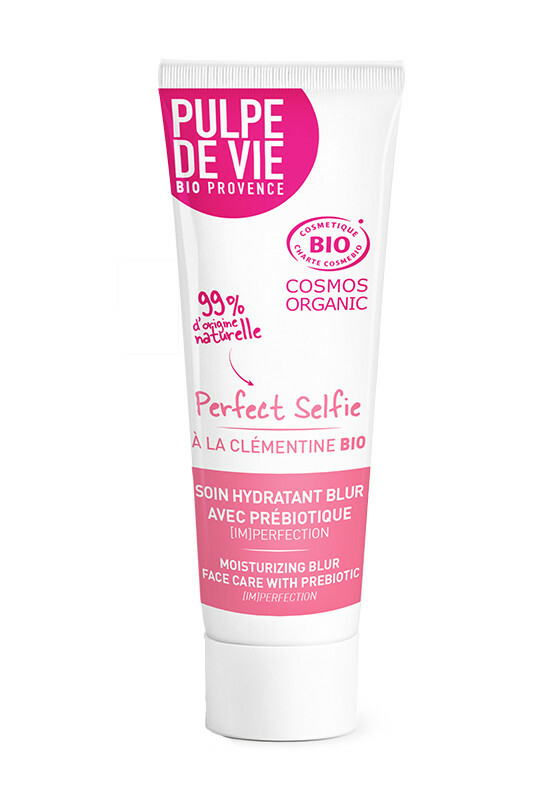 No more redness thanks to the soothing virtues of blackcurrant, your complexion is unified. This Moisturizing Care Perfector Organic flush naturally your small imperfections and smooth your skin texture thanks to its BLUR effect obtained with corn starch. It hides the pores of the skin while letting it breathe. More than just a treatment, Perfect Selfie also works inside! Thanks to its natural prebiotic bioecolia, it rebalances skin flora while boosting your natural defenses. 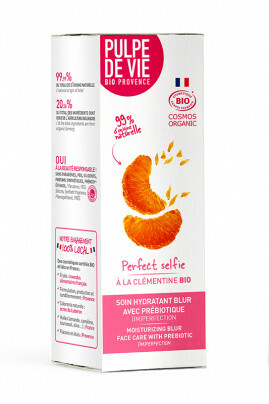 Moisturizing Blur Face Care With Prebiotic Organic is your ally for a skin zero defect! On clean skin, apply this organic care on your entire face. You can use it both in day cream and night cream.